Have you ever considered the Impact of Wiring and Labour Installation Costs on the value your project? all operations that require time and will have an effect on your the final cost. 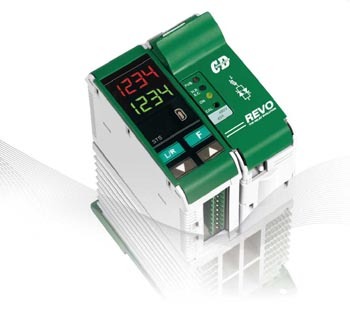 Now you can reduce costs and space with REVO TC, the innovative system of thermoregulation. 11 wires for each zone. Each zone takes 11 minutes (see the diagram). For each zone you save 11 wires x 11 minutes = 121 minutes in total. If you use descrete controllers you also avoid the panel cutting/drilling. Thats another 15 minutes per controller. Thats a total time saved of 136 minutes for zone. So how many zones/loops do you sell in one year? system layout as shown below on the left. Number of wires (cable and labour cost). Errors in wiring the machine. Cable lenght reduced by 80%. The cabinet space used is a key factor. If the space of components used is doubled then the cabinet size is doubled. Labour for wiring reduced dramatically using multiple cable with connector. Reduction of used space, saving cabinet cost. Single loop integrity with easy local identification of the faulty zone. 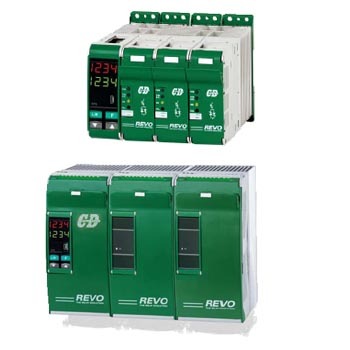 REVO TC up to 40A is normally used for plastics machinery. 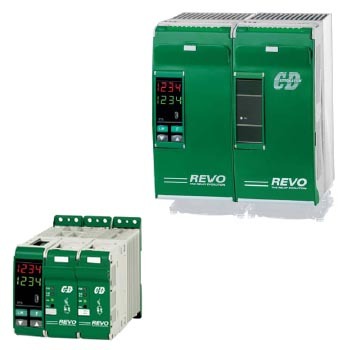 REVO TC over 60A in one, two and three phase versions is normally used in Furnaces. 3 Off PID pallets to be enabled at programmed temperature. RS485 communication from 19200 to 57600 Baud Modbus RTU protocol. 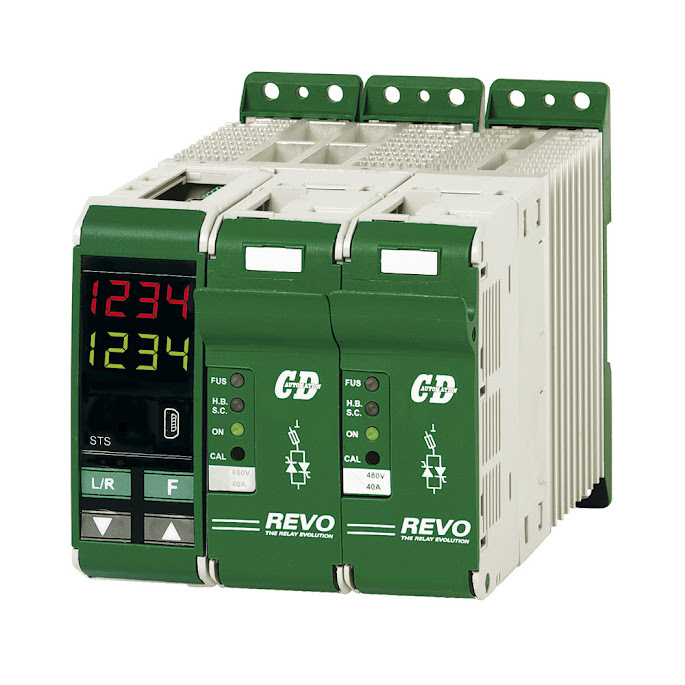 Dual Display to read PV, Set Point and load current. Auto/Manual bump less balances . Universal input for Thermocouples, RTD and linear Signal. Four configurable outputs Relay, SSR, 4:20mA and 0:10V. Cooling Output selection for Water, Oil or Ventilation. Programming port USB with CD Automation programming cable.